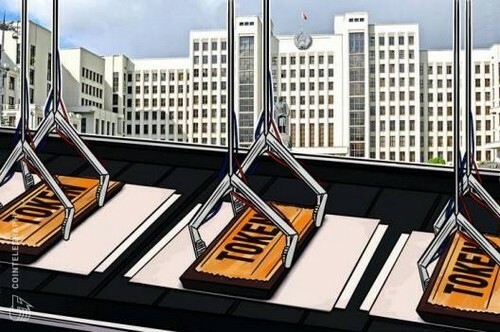 Bithumb, South Korea’s leading cryptocurrency exchange, has recently revealed plans to issue its own token, Bithumb Coin, in an Initial Coin Offering (ICO), local news outlet TokenPost reports Thursday, April 19. According to the report, the Bithumb token sale will be conducted in Singapore since ICOs are banned in South Korea. Bithumb is reportedly focusing on large-scale investors rather than individual investors. Bithumb did not confirm when the coin is expected to be launched, or the size of the venture, according to TokenPost. Bithumb is not the first crypto exchange to launch its own token. In January, Chinese crypto exchange Huobi announced its plans to issue Huobi Token (HT) that would be capped at 500 mln tokens. Huobi noted that the token would not be an ICO, claiming that only active users of the trading platform would be able to receive HT. South Korea’s Financial Services Commission (FSC) announced a ban on ICOs in late September 2017, citing increased risks of financial scams as a motivator. In March, Cointelegraph reported that the South Korean government revealed plans to local financial authorities to legalize ICOs. While the FSC remains skeptical toward ICOs, local financial authorities are attempting to authorize them by enabling strict Know Your Customer and Anti-Money Laundering systems. Some South Korean crypto exchanges are already seeking to open branches abroad. Earlier this week, Coinone, the number three crypto exchange in South Korea, announced its plans to launch an exchange in Indonesia in June. Next Article Cryptocurrency Market Surges to $365 Billion, Start of a Bull Rally?